Log in to the Drupal administration console as an administrator. Browse to the CiviCRM administration console and select the “Outbound Email Settings” item. 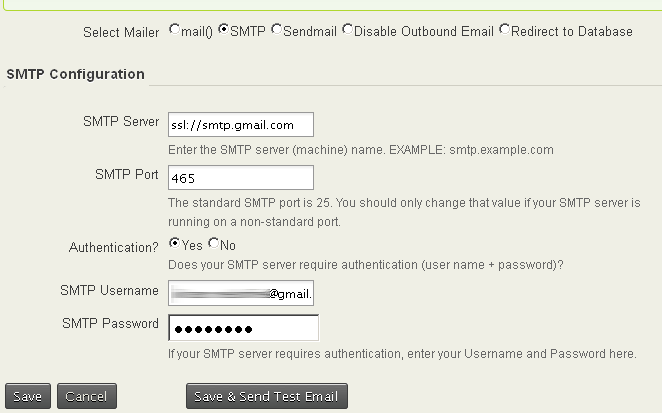 Select “SMTP” as the mailer. Enter the following configuration options using the information below as a guideline. This example configures a Gmail account. Replace USERNAME and PASSWORD with your Gmail account username and password respectively. Click “Save and Send Test Email” to verify that it all works.